Alf Field Sees Silver Reaching $158.34 Based on His $4,500 Gold Projection! So says Alf Field in edited excerpts from his original article*. 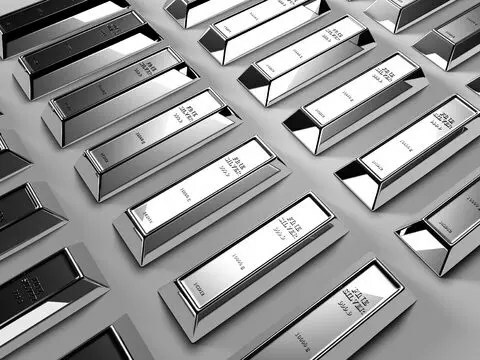 It is evident from the above chart that silver has completed the same shaped bull market as gold has and that it is at the same stage in its development. Thus silver has probably also completed the first intermediate up wave of Major THREE, in this case from $8.77 to $49.52, a gain of +$40.75 or +464% and has also completed intermediate wave 2 of Major THREE, being the decline from $49.52 to $26.39 or -47%. How does this decline of -47% measure up in terms of EW relationships? As with gold, where the corrections in Major THREE were shown to be larger than the corrections in Major ONE, the same applies to silver. The corrections in Major ONE shown in the chart above were close to -34%. If we multiply 34% by another Fibonacci relationship of 1.382 we get 47%! This is mind-blowing stuff for an analyst who did not believe that EW applied to silver! Silver, as with gold, is starting intermediate wave 3 of Major THREE, which should be the longest and strongest wave in the bull market. It should certainly be longer than intermediate wave 1 which was the gain from $8.77 to $49.52, or +464%, as shown above.